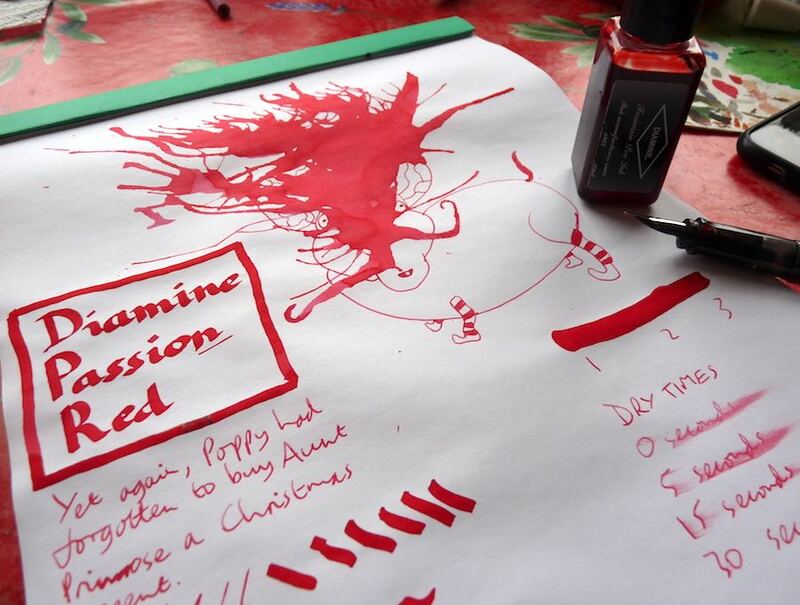 Diamine Passion Red Ink Review – Pens! Paper! Pencils! I bought this ink a long time ago, tried it, and didn’t like it. Just recently I decided to give it another go and now I think it’s lovely. I think, in part, this is because this ink is best in a broader nib and I was mostly using fine nibs when I first bought it. It’s an ink that is aptly named. 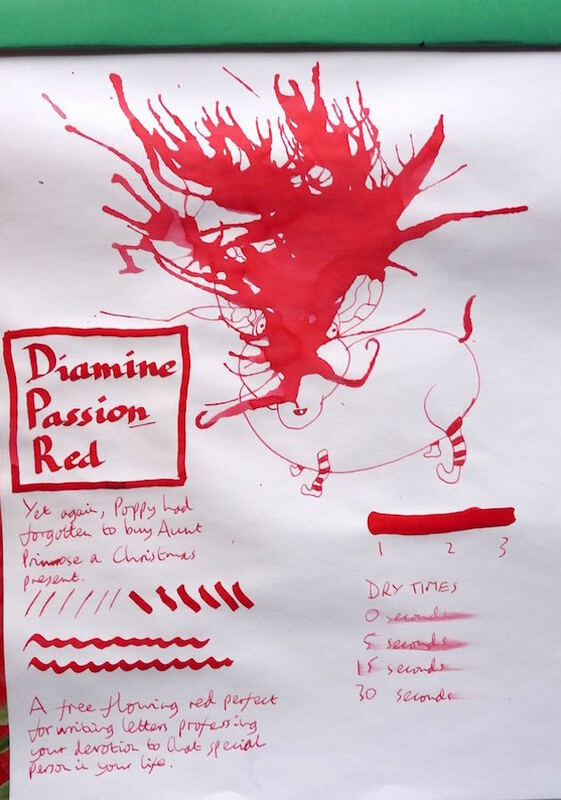 You can find some more reviews of Diamine Passion Red on Pennaquod.